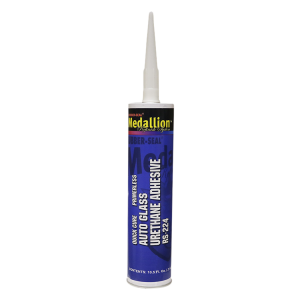 Fast curing medium viscosity windshield urethane for all factory urethane bonded auto glass. Pumps easily and seals up fast to get jobs done quickly. Meets all factory specifications. Primer should be applied to all bare metal areas of pinchweld.